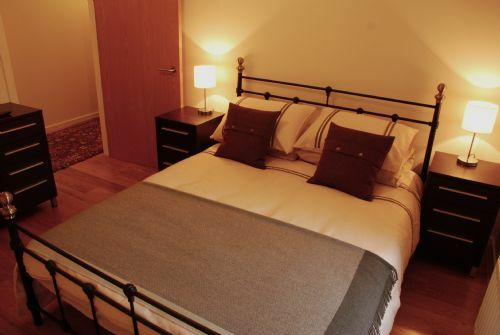 Fantastic,Convenient and Spacious accommodation close to all amenities, Canal and Loch Ness. 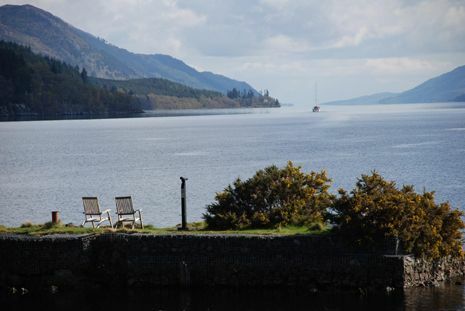 Most enjoyable stay in late September 2018, proving very flexible to accommodate land-based family adults and children whilst combining with yacht charter on The Caledonian Canal and Loch Ness. 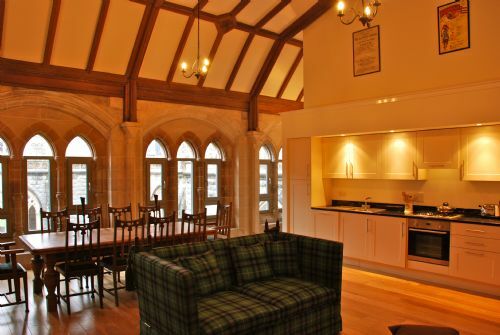 (2-3 minutes from Boat pontoons at the entrance to the Canal).The attractive conversion within the Abbey Church provided two good sized bedrooms (one ensuite), with added flexibility in lower lounge to accommodate the children on sofa beds, with great open plan dining and kitchen galley on upper level - allowing all 9 of us to sit at the large dining table for meals when required. Added benefit of being able to use the complex swimming pool, steam room & sauna, club lounge and outside children's play area made for a very memorable holiday for all concerned. 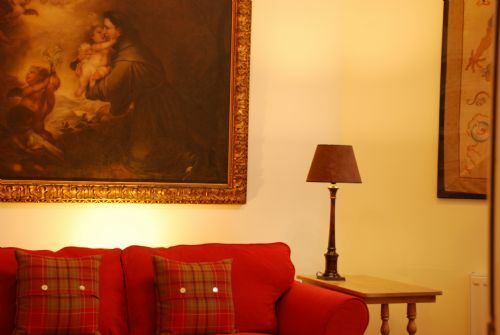 Definitely THE place to stay in the area offering good self-catering facilities, as well as options of pubs, "The Lovat" and "Boathouse" restaurants nearby. Very good fish & chips at "The Monster". We hope to return next year sometime. Cannot fault the location or the attractiveness of the property. Disappointingly unable to get hot water for the bath even with the instructions to run the basin taps first to let some hot down, and the shower was also only tepid. The shaver points in both bathrooms didn't work, unless there was a switch somewhere, which we could not discern. However, we had the most marvellous weather, although were unable to take advantage of that in the yard, as the garden furniture was too dirty to use and the table looked as if it should have had a glass top which had been replaced with plywood, naturally very weathered and filthy. It was only a yard , no flowers or proper lawn to be seen, and what was there hadn't been cut. I wish I could be more positive as the location with the weather was beautiful. As me and my brother originally planned this trip as a surprise trip for my father, I wanted to include one location that would blew his mind away. And the Chapter House was to be that location. It played it's intended part admirably. All of my family members were impressed with the history and grandeur displayed before us as we entered the Abbey and were shown around by the manager. What an absolutely fantastic location! Right next to Loch Ness even! 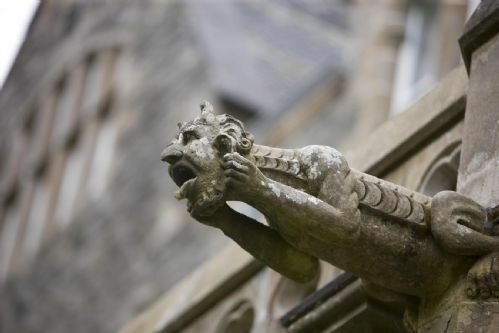 As a former archaeologist I was enjoying thoroughly walking the halls of the Abbey and admiring the detail. I loved the Chapter House, all the detail, the rustic feel and atmosphere. This place feels a little bit like magic. My parents were amazed, as were both my brothers. We loved our stay and enjoyed the pool and some games, like chess and croquet. The only shame is that Fort Augustus seemed to attract bus loads of tourists, which kind of disturbed the peace of the village as it was swarming with tourbus groups. We have one small point for improvement, some of the beds feel worn, and that way have become uncomfortable. Très bel endroit insolite. Assez extraordinaire de résider dans ce lieu chargé en histoire. La salle du Chapitre, ancienne salle de concertation et de décision, nous a inspiré du respect et de la réflexion. Étonnante étape au cours d’un Road trip en Écosse qui nous a émerveillé. 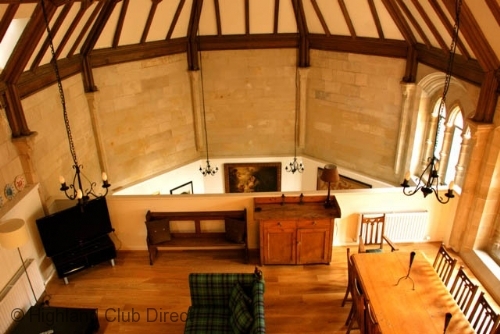 Modern luxury within historic settings- well worth the money! Arriving at the gates our jaws dropped. "Is this really where we are staying?" When we were shown around the historic stone work and large walk ways it was all too much to take in. 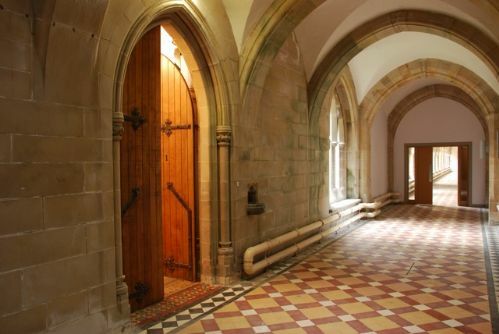 Then we entered our apartment in the Chapter House and it too was breathtaking. The bedrooms, bathrooms, kitchen and lounge areas were modern and had everything that you need. It was a perfect base for exploring the surrounding rugged but beautiful countryside. In the evening you sit by the Loch with a glass of wine, sharing yourself with the midgies. 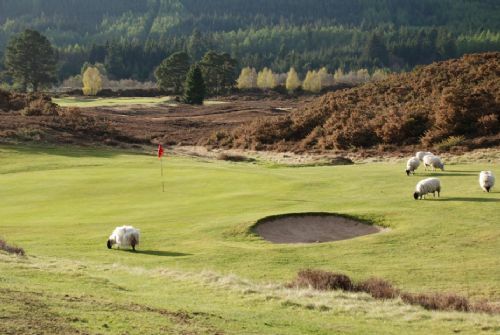 A place to definitely recommend and return to on a future Scottish foray. 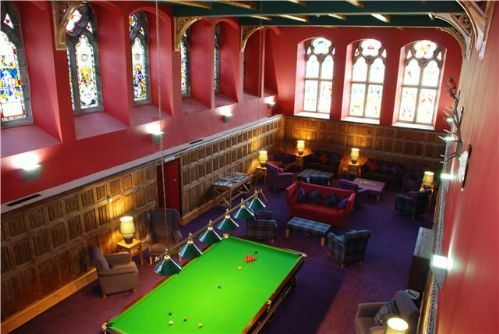 We had a fantastic stay in Chapter House, everything you could need. The kids loved all the facilities within the Highland lodge, such a beautiful setting. Our family of 5 was stunned by the beauty and history of this place. The views from the other side of the lock to the property are absolutely breathtaking. The Chapter House was perfect for our 3 children and the kitchen was perfect for our dinners that we prepared 2 nights while there. The architectural details of the entire monastery are amazing and our apartment was ideal for a 3 night stay exploring the entire area. The town of Ft Augustus was quaint and fun. We did the speed boat ride around the Loch and loved it. And then spent 2 days driving around the Loch on different roads. An awesome stay! 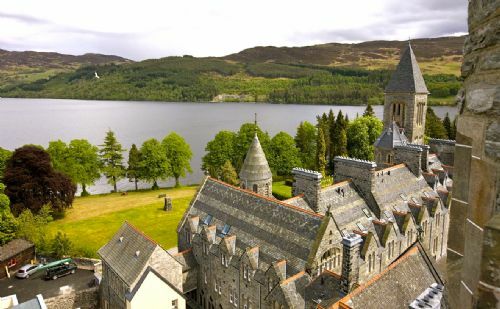 We had a wonderful stay in a former Benedictine Monastery on the shores of Loch Ness! 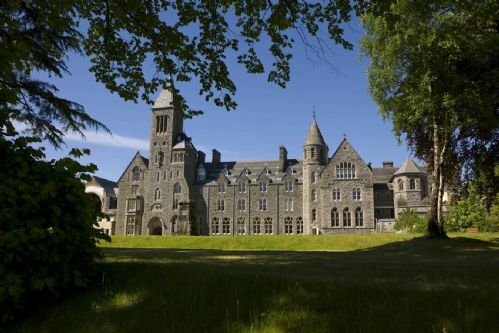 We were overwhelmed by how beautiful the Monastery and the surrounding grounds were, not to mention our apartment! The Chapter House was incredible, with a ceiling that has to be seen to be believed. It was clean and brightens very spacious. We were greeted when we arrived and given a tour of the building and apartment. All the appliances are up to date. We stayed for six days and never ate dinner out, we ate in at the huge dining room table under that great ceiling and marvelling at the view out the window! 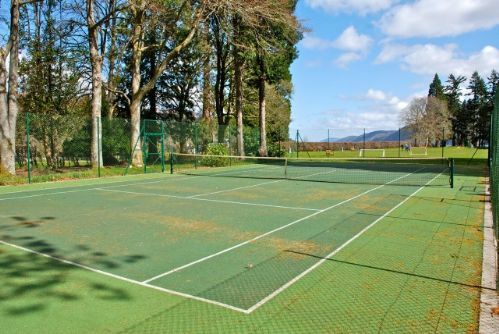 The location is great, it is a nice central location in Fort Augustus. Easy to explore Inverness, Fort William, the Cairngorms, Loch Ness, with loads of walking trails and castles to check out. We would definitely stay there again! 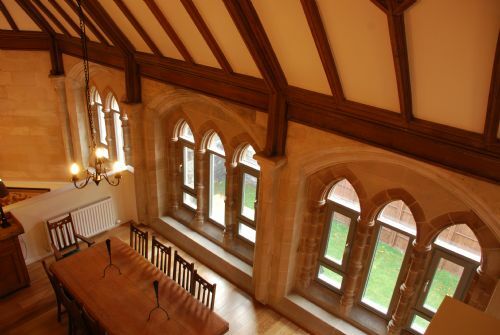 Chapter House captures modern living with all the period features of the former monastery. 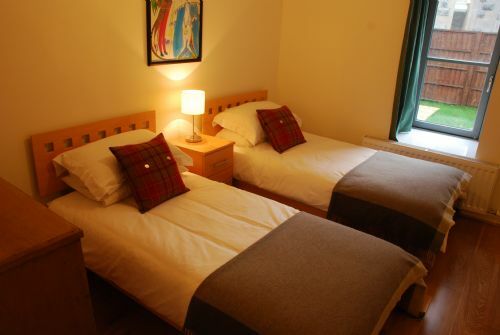 Ideally located on the banks of Loch Ness, it was a great base for exploring the highlands and local tourist attractions. The accommodation could do with an additional shower over bath in the main bathroom, as 4 of us had to use the only shower in the en-suite when getting ready. 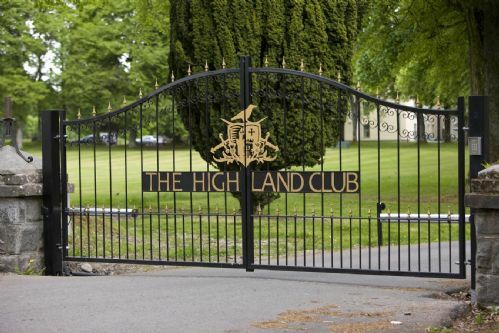 Other than that, we enjoyed our stay and would recommend the Highland Club/Chapter House to friends and family, as I'm sure our friends visiting from England will also. Thank you for taking the time to review The Chapter House. As you mentioned this is a very special property with such an abundance of period features and a wonderful private garden. All properties are privately owned, I am certain the owner will consider carefully your comments regarding the shower however, we are pleased that this did not detract from the enjoyment of your holiday. 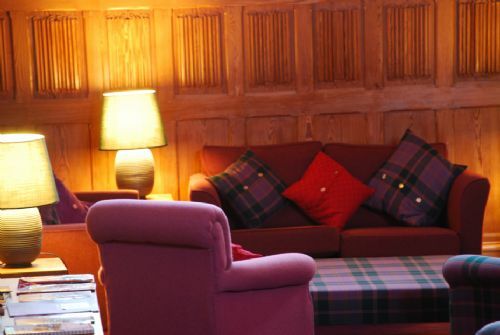 The Chapter House was a great place to stay and Fort Augustus was a great location to base oneself for everything the highlands has to offer. The apartment was comfortable and the building had lovely historic features that set it apart from other accommodation and was very spacious. 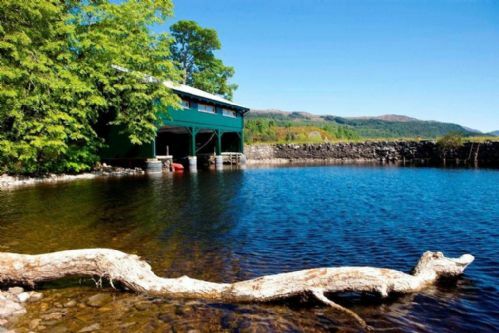 I would definitely recommend this accommodation to anyone looking to book a unique and special place in the highlands. Only problems were the cleanliness of the the cups, plates and cutlery, which had obviously been put back into cupboards dirty before we got there, so we had to wash everything before using it. I also thought that some of the furniture such as the lounge and beds could do with some updating, as it was looking a bit worn and uncomfortable. We also received no complementary toiletries as was stated we would in the apartment description when we booked. Those were only little things that wouldn't stop me from booking again however. Overall great stay. 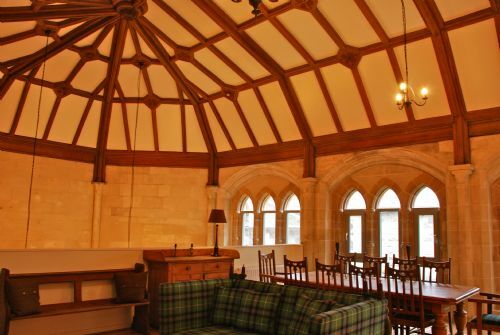 Thank you for taking the time to review The Chapter House. We are grateful that you have pointed out there was an issue with the cleanliness of some crockery and cutlery, rest assured we are addressing this today with the cleaning staff. This is probably an oversight as normally we receive good comments regarding the cleanliness of all our properties. The property manager for The Chapter House is extremely forward leaning and so will make sure all is in order and standards are maintained. The property managers are also on hand at all times to address any of these kind of issues during your stay and I am certain they would have sorted this out had they been asked, however, I appreciate that all should have been in order for your arrival. Reviews are placed directly onto our website, the owners of each property also receive a copy of the review and I will liaise with the owner to ensure any appropriate corrective actions are carried out. 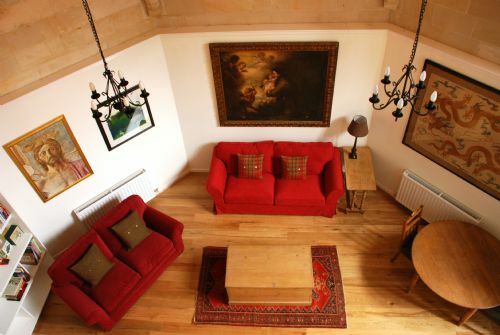 As you reiterated this property is extremely special, offering an abundance of architectural features. Delighted to have come across this beautiful and luxurious accommodation in such a perfect location. Marvellous views of the loch! 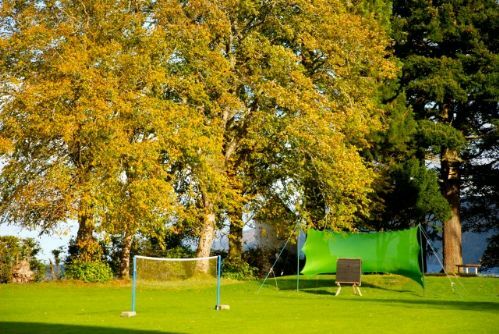 Kids loved the table tennis, games room and grounds. We had 3 nights staying in the Chapter House with our twin 8 year old daughters. The setting is absolutely stunning, driving up to the old Monastery is a big wow and the scenery looking over the Loch is just amazing. The apartment itself had everything we needed for some home cooking of breakfasts and dinners, unfortunately one of our daughters had tonsilitis whilst we were there so we were inside alot more than planned, but having such a big comfortable apartment made that alot easier on us all. 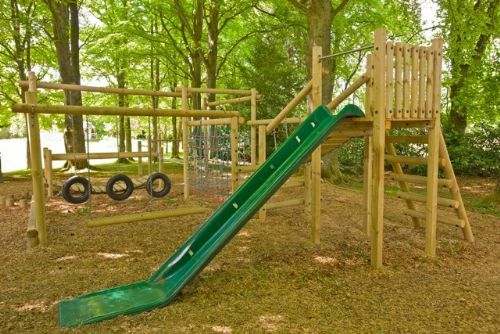 Having the games room and table tennis table was also a bonus for the children and they loved exploring the grounds, feeding the ducks and spotting rabbits from the swings in the park. 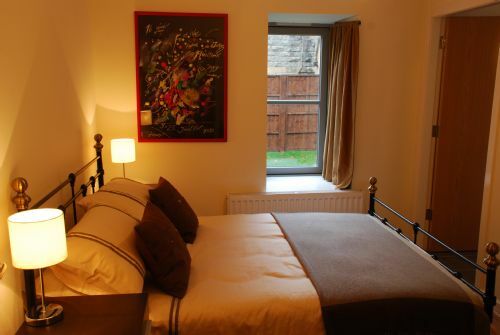 The location is excellent with good access to many sights and attractions. We finally got out to explore and drove to Ben Nevis where the girls got a chance to sledge on the mountain (we left the sledge in the apartment for future guests!). The drive up to Fort William was just stunning with some gorgeous views, I'd definitelty recommend it. We ate at both The Bothy and The Lock Inn, which were walking distance and good food, the Londis is well stocked for essentials and I can even say the local GP and pharmacy were fantastic and very helpful when my daughter needed antibiotics! We took a boat trip with the local company based on the lock, a quick hour with some informative and amusing presentations from the crew! Overall a fantastic stay and the kids are already asking when we can go back! 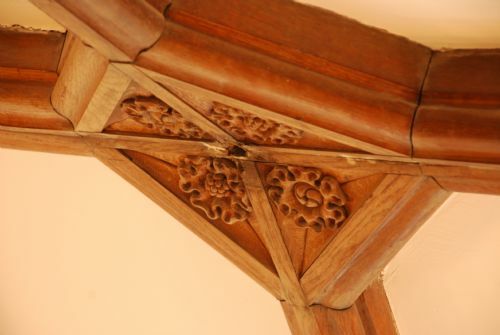 The Chapter House is beautiful and has everything you need. It is set within breathtaking surroundings which appear to change everyday. I would definately stay there again.